SportsLeader, a Catholic virtue-based formation program for coaches, will be implemented at Bishop Luers High School this fall. All Bishop Luers athletic coaches gathered July 13 to learn more about the program’s initiatives – to build a structured, intentional and specific method and curriculum to help form leaders and teach virtue. Lou Judd, director of SportsLeader, presented the talk and spoke about the implementation of the program’s four pillars: virtue, mentoring, ceremony and Catholic identity. “Coaches are among the most impactful leaders in today’s world,” Judd said. “Our hope at SportsLeader is that if we can help strengthen the faith, the virtue, the leadership of coaches, then those coaches can bring it to and transform the athletes. We firmly believe if you can transform the athletes within a school, we’ll transform the school. Jim Huth, principal of Bishop Luers High School, believes SportsLeader will use the school’s athletic program to bring students into a closer relationship with God. 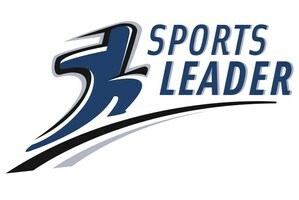 Two years ago, Huth attended a SportsLeader conference in Cincinnati, Ohio. Athletics at Bishop Luers incorporates the Catholic faith, and SportsLeader is another building block of this incorporation of the faith in the community. The celebration of family is one of the pillars of the SportsLeader partnership. Several sports have done their ceremonial presentation of the jerseys. Fathers, male figures, present the team jersey to the athlete and offer encouragement to their athlete. Cross-country dads and athletes explain the meaning and significance of this presentation in this video.